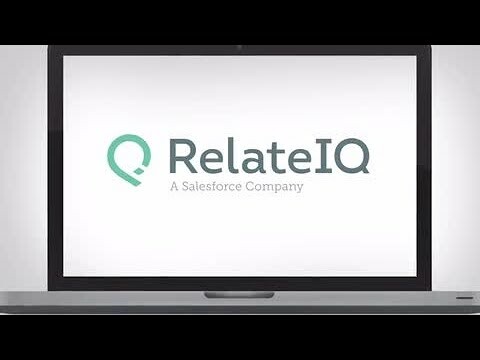 RelateIQ is an on-line CRM that allows your teams to collaboratively and efficiently build your company's contact database. RelateIQ enables you to better understand your prospects and customers, and to generate leads that you can convert into business opportunities more easily. RelatedIQ does not just help you manage your business relationships. 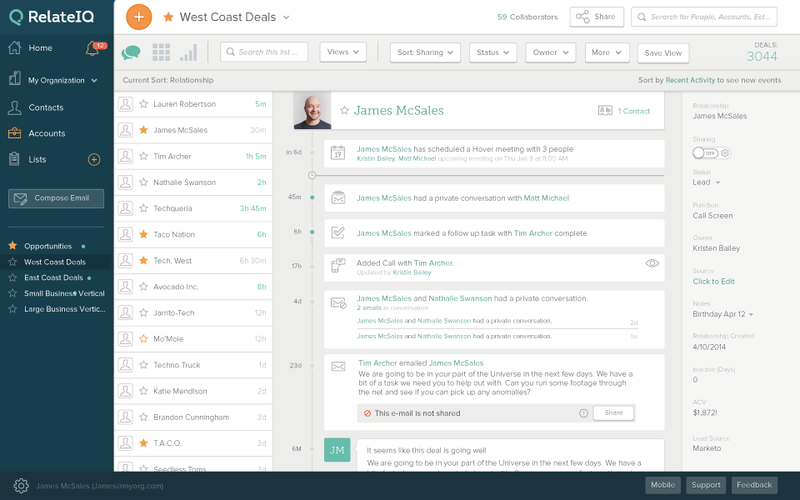 It intelligently automates the enrichment of your contact database. 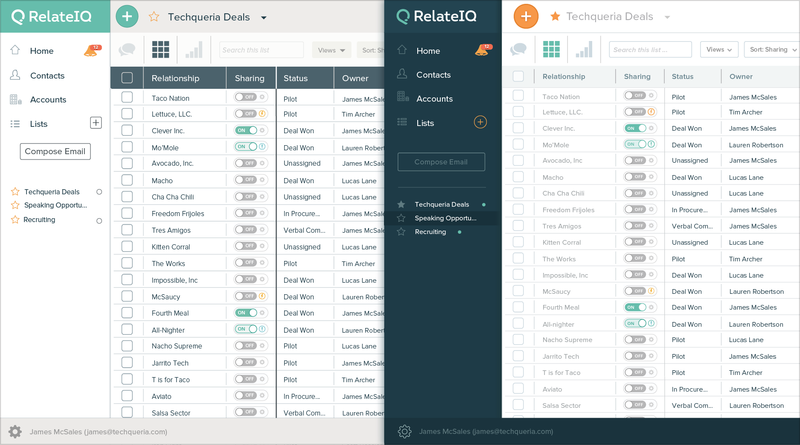 Once connected to your email and mobile device, RelateIQ will search for the public information for each of your contacts and centralize them. 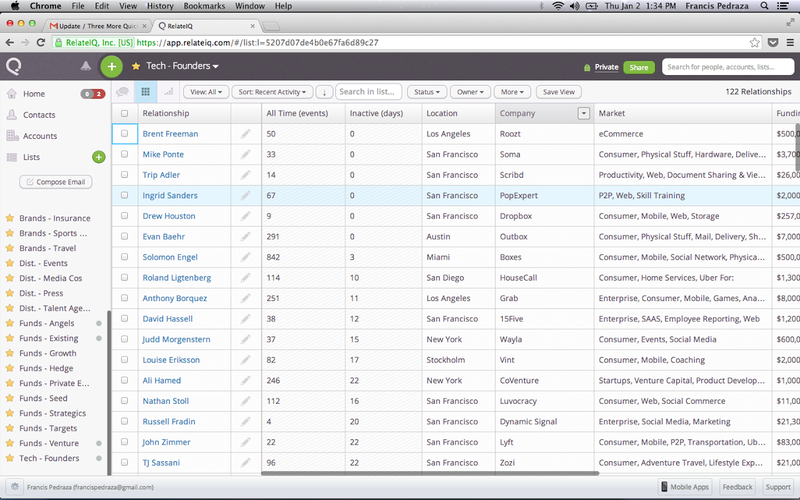 RelateIQ also provides effective tracking of your customers and prospects. Downstream you can view your data in synthetic reports and dashboards that allow you to make good decisions for your business. RelateIQ is very ergonomic and user friendly. This allows you to quickly enter your data.